This ring is much prettier in person then in photo. It really catches the light and I get a lot of compliments on it when I wear it. Your great American love story deserves a uniquely American gem. And, you’re looking at it right here. Following the sudden and amazing display of nature’s power that was the 1980 eruption of Mount St. Helens in the Pacific Northwest, something unexpected and beautiful was discovered. A brilliant green creation was produced from the heated volcanic rock dust. 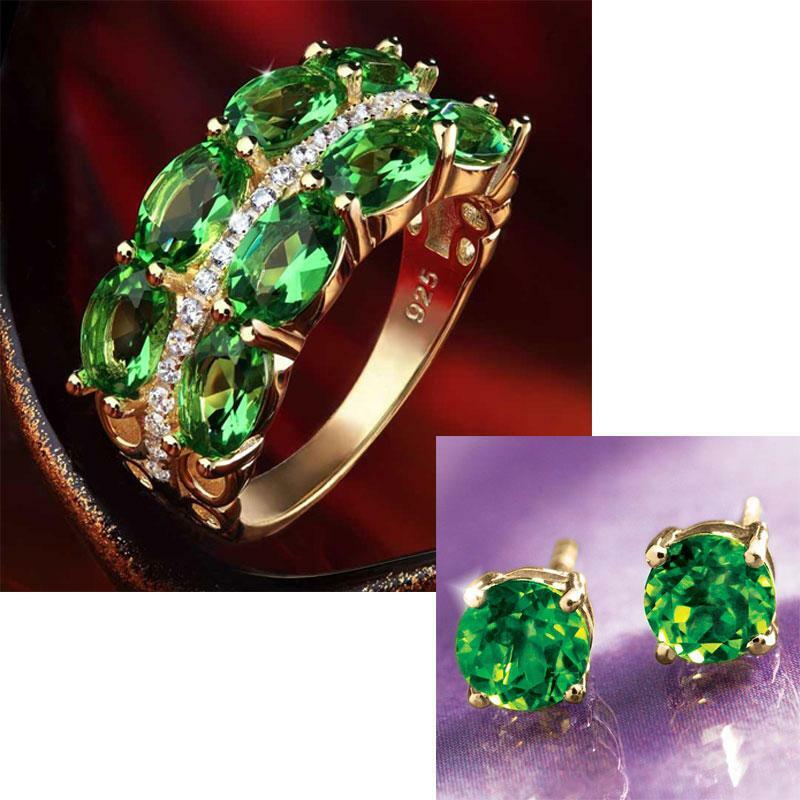 Named “helenite” after the mountain from which it was born, its vivid color and amazing story captured the attention of jewelry designers worldwide. The Helenite Forever ring showcases eight of these brilliantly green stones, oval-cut, and placed along with twenty-three sparkling white lab-created DiamondAura® stones in a gleaming gold-finished setting. Helenite’s vibrant green beauty has earned it the title “America’s Emerald.” And, while the generous portion of helenite in this ring delivers the sparkle, color, and cut of precious emeralds, it does not deliver the big price tag. Today, you can bring home 9 total carats of nature’s green miracle for an exclusive Stauer price. For an even more exclusive price you give her the helenite stud earrings too. Because loving someone forever is romantic. Paying for jewelry forever is not.